Help your trees, shrubs, and vines look and yield their best. Whether you are hoping for more flowers or fruit, trying to create a dense screen, or struggling to manage out-of-control growth, there is a pruning technique to achieve your goals. 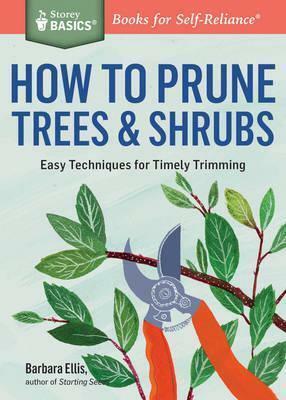 Expert gardener Barbara Ellis explains how a plant responds to pruning, how and when to use basic cuts, and what tools to use. Her plant-by-plant guide will give you the confidence you need to make that first cut.